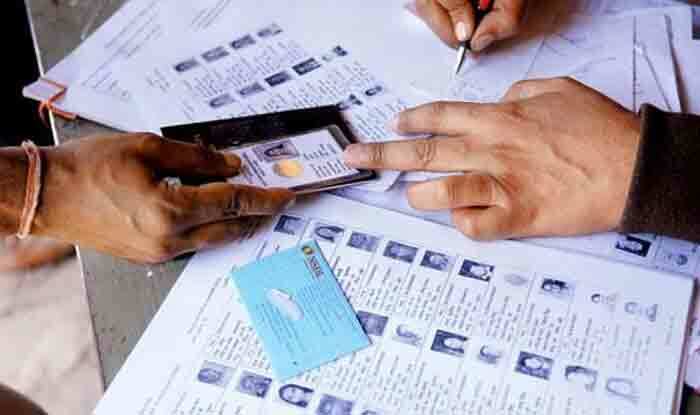 Banda, Fatehpur, Kaushambi, Barabanki constituencies in Uttar Pradesh will go to polls in the fifth phase of Lok Sabha elections on May 6. Rajmahal, Dumka and Godda seats in Jharkhand will vote on May 19. Lok Sabha Elections 2019: Uttar Pradesh will go to polls in all the seven phases for its 80 Lok Sabha seats, starting from the first phase on April 11 up to May 19. Let us take a look at the key details of Banda, Fatehpur, Kaushambi, Barabanki constituencies in Uttar Pradesh which will go to polls in the fifth phase on May 6. The nomination for these seats will be scrutinised on April 20 and the final date of a candidate’s withdrawal is fixed at April 22. The deadline for filing the nomination for the respective seats falls on April 18. Banda: This constituency lies in the Bundelkhand region near river Ken. The candidates contesting for this seat this year are RK Patel from BJP, Bal Kunwar Patel from INC and Shyam Charan Gupta from SP. In the 2014 Lok Sabha poll, BJP candidate Bhairon Prasad Mishra had won the Banda seat who is also the sitting MP from this parliamentary constituency. On the second spot is RK Singh Patel from the Bahujan Samaj Party (BSP) followed by Samajwadi Party (SP) candidate Bal Kumar Patel alias Rajkumar. Fatehpur: This constituency is located on the banks of river Ganges and Yamuna. Fatehpur is part of the Allahabad division. The candidates contesting for this seat this year are Sadhvi Niranjan Jyoti from BJP, Rakesh Sachan from INC and Sukhdev Prasad from BSP. In the 2014 Lok Sabha poll, BJP candidate Niranjan Jyoti had won the Fatehpur seat. He is also the sitting MP from this parliamentary constituency. Kaushambi: The district headquarter of this constituency is Manjhanpur town. While BJP has fielded Vinod Sonkar for the seat, the Congress has fielded Girish Chand Pasi. Barabanki: This district is a part of the Ayodhya division. It lies in the Awadh region of Uttar Pradesh. BJP candidate Upednra Rawat, INC candidate Tanuj Punia and SP candidate Ram Sagar Rawat are contesting for this particular constituency. In the 2014 Lok Sabha Elections, BJP candidate Priyanka Singh Rawat had won from this seat. She is the present sitting MP from this constituency. While PL Punia of the Congress party secured the second spot, Bahujan Samaj Party (BSP) candiate Kamla Prasad Rawat ended up at the third spot for this seat.